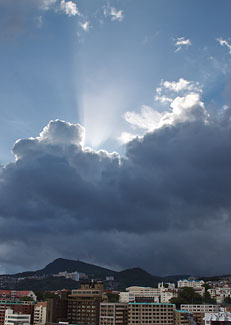 Just about the time I had resigned to no photography in the dense fog of the Sea of Japan, we emerged from the haze and arrived in Nagasaki. And with sunrise, everything changed. The morning sky was beautiful. Large cumulous clouds refashioned the landscape creating a light show that alternated from dark subtlety to bright celebration across the city. I had my camera bag with me as I climbed the stairs to an early breakfast. I opted for a bowl of cold cereal, some fresh fruit, and a mug of dense, bitter coffee. I stood at a laminated wood bar on the soggy aft deck while I ate. All the seats were too wet for sitting. Just as I finished the cereal, a bank of clouds shifted allowing the sun to illuminate a corner of the sky. I pulled back the flap on the camera bag to see that the 24-105 mm f/4 was mounted on the Canon T1i. I checked the ISO to make sure it was at 100 (plenty of light here) and began composing shots while leaning against the deck rail. The first image that caught my eye was a distant bridge with a tall building. 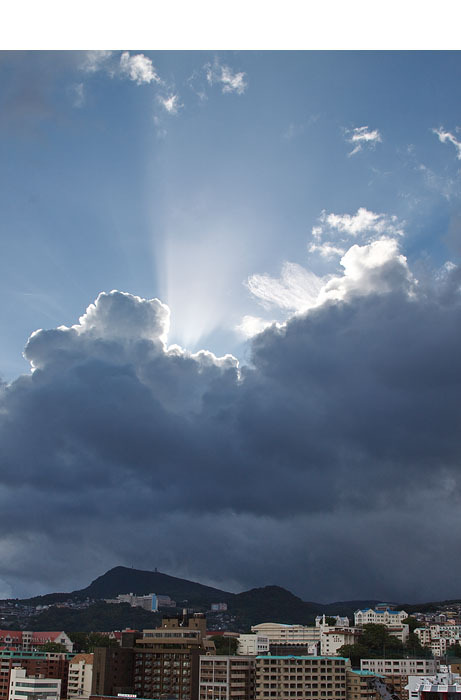 A beam of light broke through a clouds spotlighting a part of the tallest building leaving its other sides in shadow. I thought the effect was striking and managed to shoot a couple frames before composition changed. Photos by Derrick Story, using a Canon T1i DSLR with a Canon 24-105mm f4 L IS lens. You can view a catalog from the entire trip to Asia on the The Digital Story Flickr page. Then, to my right, I saw the light from the sun shoot upward from a dark bank of clouds creating a white rim on their edges accompanied by a bright shaft reaching upward. Below the light show, the city buildings were in shadow. The effect was wonderful, even though I knew the buildings would be too dark for my taste, I exposed for the shaft of light figuring that I could recover some shadow detail in post production. This is an advantage to shooting Raw. Later, in Adobe Camera Raw, I used both the Fill Light slider and the Graduated Filter to better balance the buildings with the rest of the scene. I didn't want to make them too bright, since that would be unnatural. But I did want them to serve as an interesting foundation to the calamity unleashed above. I then finished the bowl of fruit and prepared to explore the city. A light breeze help offset the warm, humid morning. I had the feeling that a good day lie ahead. It's time to start using the pictures we took before 1999. Many of us have two lives as photographers: The "slide and negative days" prior to 2000, and the digital age that followed. But what about all of those great images we captured prior to the digital age? Shouldn't we incorporate them into our Aperture, Lightroom, and iPhoto libraries? In this podcast I talk about strategies for digitizing our analog photographs. 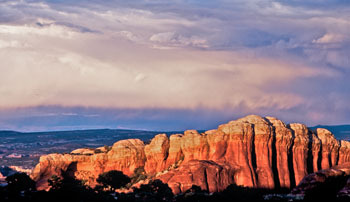 Image from Arches National Park in Utah captured with a Contax 35mm camera using a Zeiss 85mm lens on Fuji slide film. Slide was digitized using a Canon 5D Mark II with a slide duplicator attachment. You can read about the digitizing rig in this article: Canon 5D 35mm Slide Digitizer - DIY. Photo by Derrick Story. You can also download the podcast here (31 minutes). Or better yet, subscribe to the podcast in iTunes. Soft Background is the July 2009 Photo Assignment. You can create the effect when you shoot with a telephoto or wide aperture lens, or take care of it in post production with Photoshop. You can read more about how to submit on our Member Participation page. Deadline for entry is July 31, 2009. 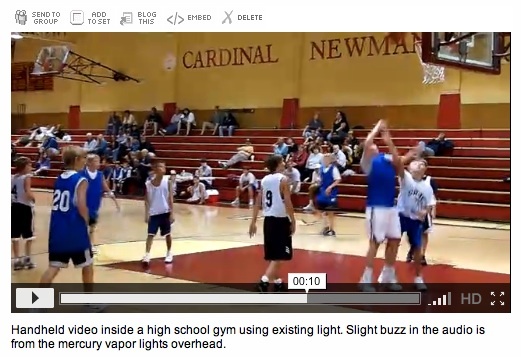 I wanted to put the HD video capture of the Olympus PEN E-P1 to the test, so I took it to an AAU basketball tournament where I had to work under buzzing mercury vapor lights with fast moving boys. One of the first things you'll notice with the E-P1 is that you can zoom during video capture. But I suggest that you use restraint with this function and stick to "zooming out" because the camera doesn't automatically refocus when you change focal length. You can refocus using the AFL button, but it's not ideal because, well, it looks bad during recording. The sensor-based image stabilization works great for video. Handheld capture will never be as steady as a tripod-mounted camera, of course, but because of the good stabilization, it works just fine for casual movie making. I also thought that the auto white balance was admirable in the artificial lighting -- the auto exposure was good too. What you end up with is a 1280x720 AVI video file at 30 fps with 16-bit, 44.100 KHz stereo audio. I've posted a set of movies from the E-P1 on the TDS Flickr site. I didn't adjust them, and I'm not sure what Flickr does behind the scenes when I upload the movies. I wanted you to be able to see what comes out of the camera without any editing. The nice thing about 1280x720 resolution is that it's the preferred HD format for both Flickr and YouTube. As for the audio, well, you have to live with the onboard stereo mics. They are what they are. I much prefer to have an external mic jack so I can move the audio capture device away from the recording unit, but very few cameras provide this. I will say, however, that for onboard recording, the stereo capture with the E-P1 is good. Just remember not to mumble to yourself while the red light is flashing. A 30-second clip takes up 124 MBs worth of file space. Because of the AVI format, you have a 2 GB limit per recording, which should give you about 7 minutes in HD. In all honesty, the 7 minute limit doesn't bother me because I usually shoot scenes anyway, then stitch them together into a movie. But I do wish Olympus had gone with a MPEG-4 format that has more efficient compression. Overall, I thought the HD video function adds a great dimension to the E-P1. Not everyone likes to shoot movies with their digital camera, but some events just translate better with moving pictures. And it adds value to the E-P1. Now you have a compact device that shoots great still photos and captures HD video too. If you're interested in the Olympus E-P1, check out my ISO Comparison post. I run at series of photos from the camera staring at ISO 100 all the way up to ISO 6400. I also have a podcast covering the features of the E-P1. 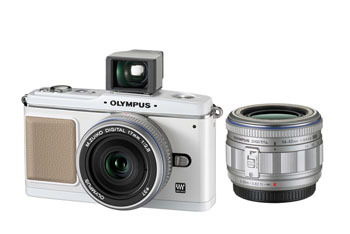 I also have a First Look at the Olympus E-P1 article at Macworld Magazine. Another helpful tip is the Olympus E-P1 "Please Check the Status of Your Lens" Message. I have a nice collection of street shots with the E-P1 in the article, Early Morning on the Beijing Streets. If you're interested in the 17mm lens for the E-P1, take a look at A Closer Look at the Olympus 17mm f/2.8 Lens for the E-P1. "I took my Canon G9 on a recent trip to New York, my first in fact," writes Michael Cortina. "Even though the weather had been horrendous, I got off the tour bus and did some exploring on foot. 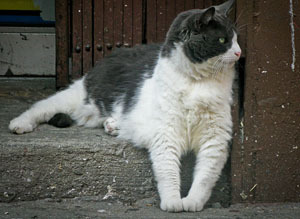 That's when I spotted this curious laid-back cat and captured his pose with the G9." Michael's G9 was set to ISO 200, with a shutter speed of 1/200 at f-4.5. Photo by Michael Cortina. Click on image to zoom to larger size. The Olympus 17mm f/2.8 micro four thirds lens is the first prime optic available for the new Olympus PEN E-P1 digital camera. When you first mount this "pancake" lens on the E-P1, it looks like a match made in heaven. Unlike the 14-42mm zoom that has a modern look, the 17mm is a blast from the past and finishes off the elegant retro feeling established by the E-P1 body. Performance is good too. The lens focuses quickly in autofocus mode and has an accessible manual focus ring. Exposure was consistent with shots made by the 14-42mm lens in controlled lighting. Images were crisp with good contrast. Edge to edge sharpness is good, even at f/2.8, and I didn't detect any vignetting at any aperture. Another route to go is get the 17mm in the kit instead of the 14-42mm lens. The kit is listed for $899 on Amazon, which is $100 more than the 14-42mm kit and includes the VF-1 optical finder. You can buy the 14-42mm lens for $299 later if you want to start with the 17mm. Uncropped image shot with Olympus E-P1 and 17mm lens set to f/4. You can see a catalog of images captured with the 17mm on the TDS Flickr page. Those images are direct from the camera with no editing. Photo by Derrick Story. But as some point you will want the 14-42mm zoom too. As nice as the 17mm is, you can't tap the full potential of the E-P1 with just this lens. There will be situations where you want more breadth or reach. An alternative to the 14-42mm zoom, if you already have glass by Olympus, is the Olympus MMF-1 Four Thirds to Micro Four Thirds Adapter for $180. I tested it briefly with a handful of four thirds lenses, and it performed quite well. It's well-crafted too. If you want to shoot at f/2.8 with this lens, you're best off to switch to aperture priority mode and set it there yourself. In program mode, the E-P1 didn't open up more than f/3.5, even with a shutter speed as slow as 1/6 of a second. I checked my menu settings, and could not find a reason for this, so I suspect it will be corrected with a future firmware update -- unless I missed something, which is entirely possible with a new camera. Also, a lens case is not provided for the lens or the viewfinder. This is a little surprising considering the price tag. So you'll have to dig around in your accessories box to find a couple pouches to protect these items when banging around in your camera bag. And even though the the optical viewfinder fits snugly in the hot shoe, I would still prefer a thumbwheel to tighten it down. I could see the viewfinder getting accidently bumped and flying off the top of the camera. At $100 a pop, this is something to avoid. If you're interested in the Olympus E-P1, check out my ISO Comparison post. I run at series of photos from the camera staring at ISO 100 all the way up to ISO 6400. I also have a podcast covering the features of the E-P1. I also have a First Look at the Olympus E-P1 article at Macworld Magazine. Another helpful tip is the Olympus E-P1 "Please Check the Status of Your Lens" Message. I have a nice collection of street shots with the E-P1 in the article, Early Morning on the Beijing Streets. Face detection and recognition are two of the killer technologies incorporated into iPhoto '09. I've spent a lot of time working with these technologies, and I have some great resources to help you quickly become a power user. 7 tips for using Faces in iPhoto '09 provides a nice overview of how Faces works, then gives you a handful of power user techniques. This is a must-read for iPhoto '09 fans. Back up iPhoto's Faces database tells you a bit about the Faces database in iPhoto '09, and how you can back it up to protect the work you've done. iPhoto '09: 10 Things to Know About Faces is a 46-minute online training published by Lynda.com. 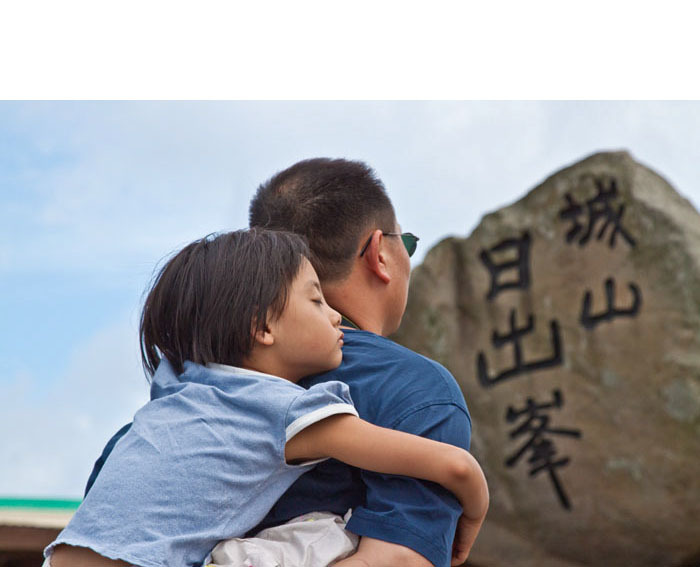 The training is divided into 10 short QuickTime movies, two of which are absolutely free and you can watch right now. 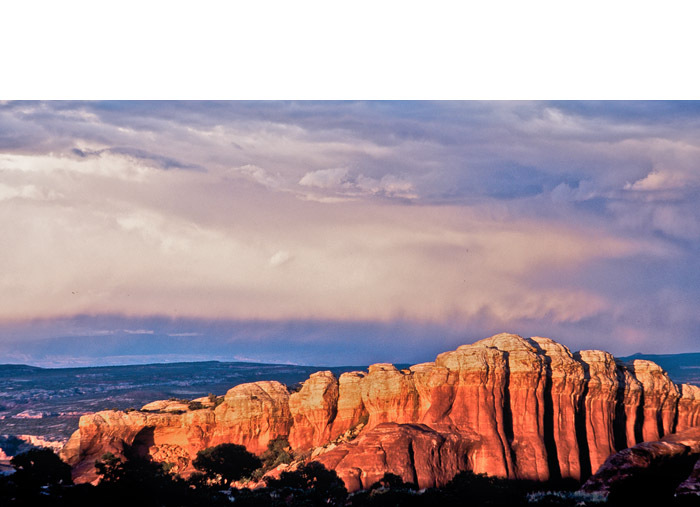 This is a terrific way to learn and master Faces technology in iPhoto '09. "Face Recognition All Around You" - Digital Photography Podcast 169 -- In this podcast, I discuss face detection both on the capture side of the fence with digital cameras, and on the software side. I cover how this technology is being used, and some things to keep in mind if you decide to take advantage of it for your work. 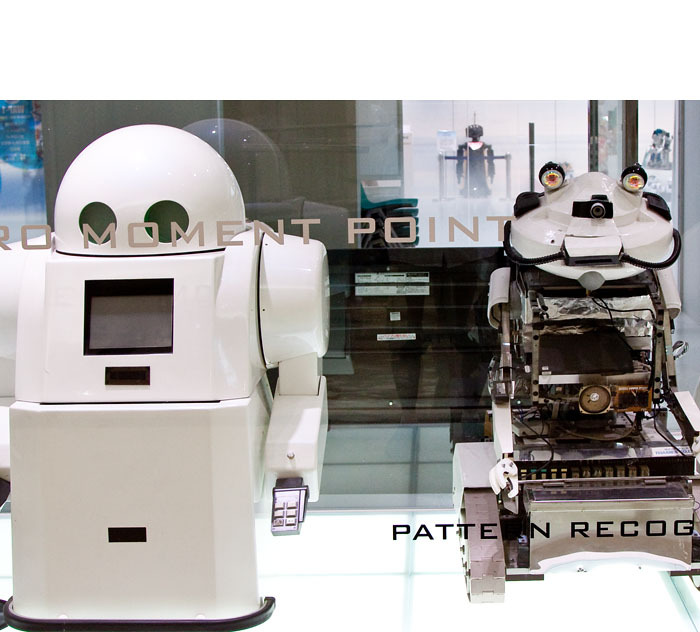 Inside what looks like a typical shopping mall, within walking distance of the Fukuoka Tower, is one of the most amazing retail establishments I've ever visited: Robosquare. 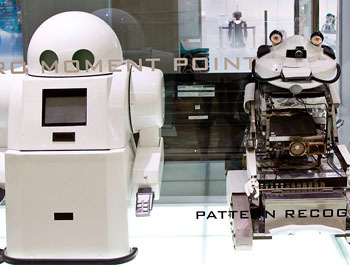 It's a combination of tech museum, research facility, and toy store for geeks. In the spacious visitor area there are dozens of robots on display. Some are for sale; others are just to marvel at. Off to the side behind glass windows is an assembly and research area where you can watch technicians work on various robotic projects. Everywhere you turn, there is something to excite the senses. It was a lucky find for me. I had been traveling on my own during this visit in Fukuoka. But there were times when I would end up at the same places as my shipmates. People would spot me, we'd compare notes on the day, then go our separate ways. I had already been to the top of Fukuoka Tower, and I was hanging around downstairs contemplating where to go next. It was hot outside, so I wanted to make a good decision before leaving the comfortable air conditioned environment where I had just finished lunch. At that point I spotted a few of my comrades getting ready to go up the tower. They were part of an excursion. A few in the group hated heights and had asked for something else to do while the rest took the elevator to the top. 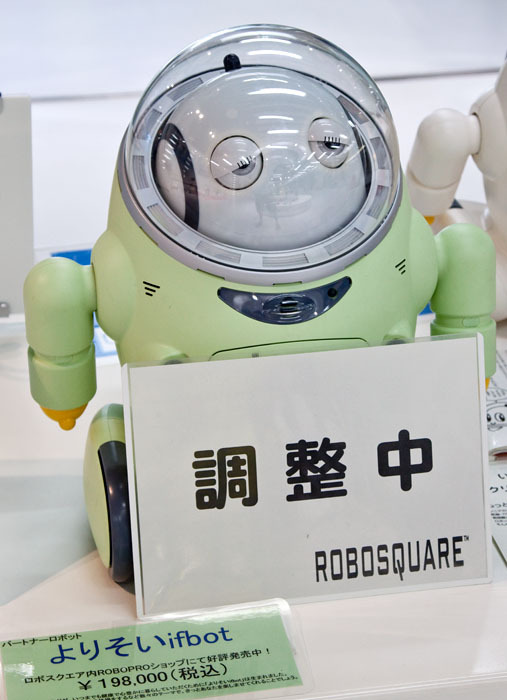 The tour guide lived locally and suggested the Robosquare. As they were dashing off to see the robots, one of them mentioned the diversion to me. "Perfect," I thought. So I dashed off with them. The beauty of my situation, however, was that I could stay there as long as I wanted. They had to rejoin the tour 20 minutes later. It took me an hour to pull myself out of the store. 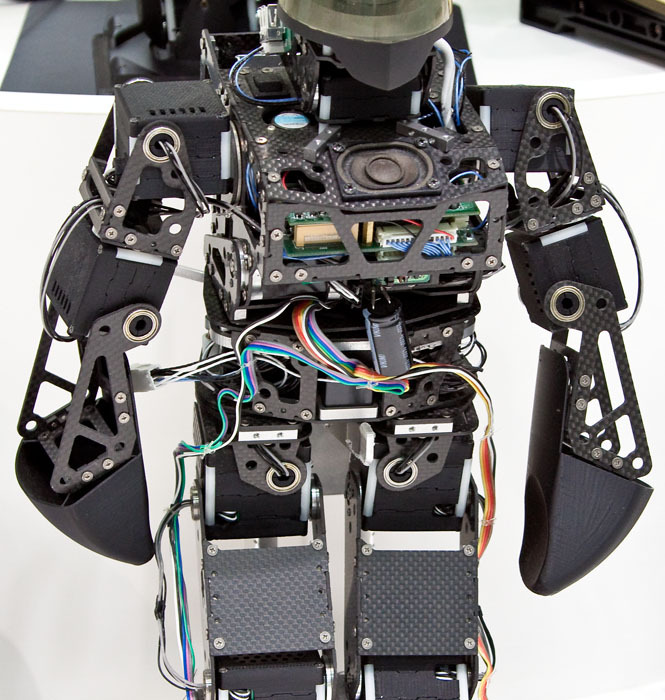 Part of what kept me engaged were the three demonstration areas that had robots in action. One in particular, the baby seal, was impressive. 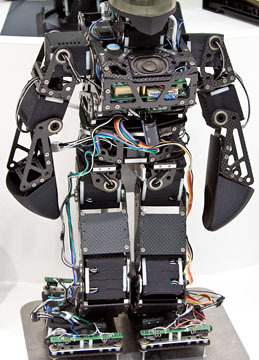 This robot had been developed to comfort the elderly who were in extended care facilities, often without companionship. The seal could locate people in the room, make eye contact, then interact with them. If the person pet the seal, it would really turn on the charm. The combination of movement and sound were very compelling, enhanced by the thick fur that felt so good to stroke. Within minutes, I felt better myself, and I was in great shape to begin with. What a truly marvelous invention. Then, after I had looked over every display twice, I went to the shopping area where there were plenty of projects to take home and build. I opted for a couple car kits and a robotic pencil sharpener. They'll make great presents for a couple of boys back home. But there was plenty more, including Lego Mindstorms, robotic arms, and simple kits too. As I walked out with my purchases, I was thinking that sometimes you just need to be in the right spot at the right time. Robosquare was definitely a good spot for me. 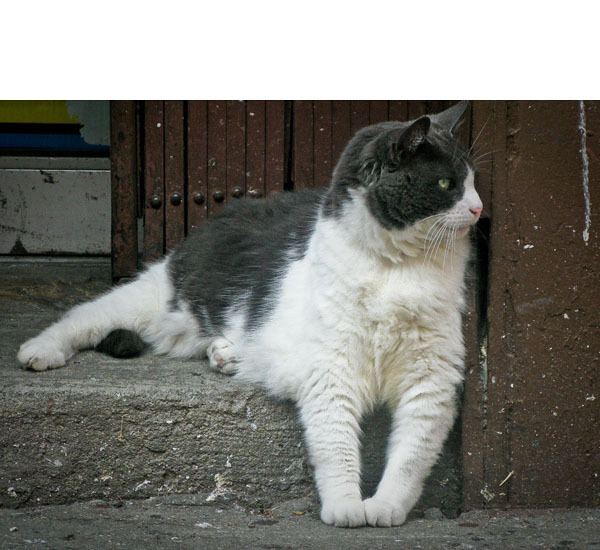 Photos by Derrick Story, captured with a Canon T1i DSLR. For more photography from Asia, visit the TDS Flickr page. Field work is the greatest teacher of all. That's where your preparation, knowledge, and ability to think on your feet come together to enable you to capture once in a lifetime images. I had many such moments on the recent visit to China, South Korea, and Japan. In this podcast I share anecdotes from working in Asia. Equipment that I used on this trip included the Canon Digital Rebel T1i, battery grip with AAs, 70-200mm f/4 L, 24-105mm f/4 L IS, 18-55mm IS, and 50mm f/1.8. No external flash, but monopod with tripod ring for the 70-200mm. I also packed the Olympus E-P1 and the Olympus Stylus Tough 8000. Many of my students had more equipment, and sometimes more expensive gear than my rig. But I was able to carry everything in needed in a shoulder bag that was always with me, even in the hot, humid Asian afternoons. This allowed me to get shots that others missed. You can also download the podcast here (32 minutes). Or better yet, subscribe to the podcast in iTunes. Photo by Derrick Story in South Korea with Canon Rebel T1i and 24-105 mm f/4 L Canon zoom. For more images from Asia, visit the TDS Flickr page. I just returned from a trip to Asia, and I was pleasantly surprised how often I used my iPhone 3GS for photos and video capture. Because of its excellent connectivity, the iPhone works great with Flickr on the fly. 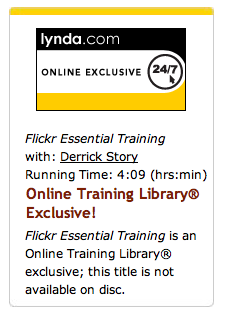 I cover a lot of these basics in my just-released Flickr Essential Training on Lynda.com. But one new feature that has surfaced since I recorded the title is worth sharing here. 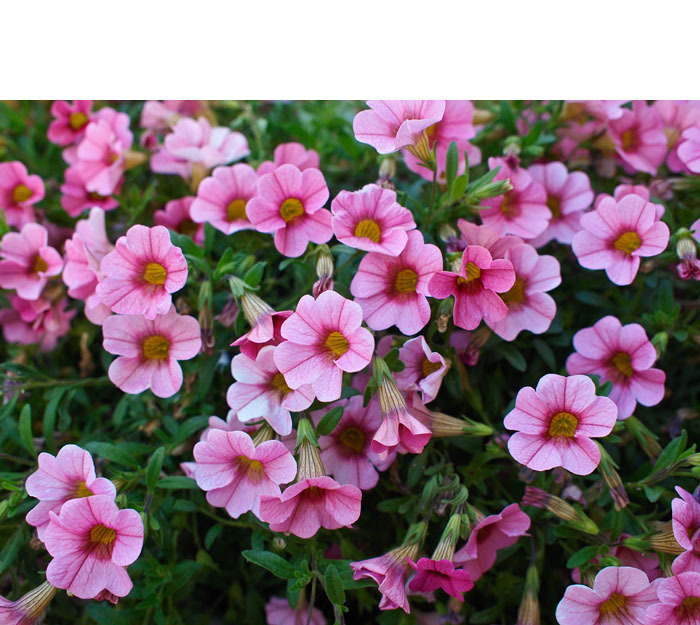 Now you can send a photo from you iPhone directly to Flickr and create a Twitter post too. That's how I posted the image titled Nagasaki Streetcar Ride. It's really easy. All you have to do is read the FAQ, Can I post to Flickr and Twitter from my mobile?, then add your unique email address to your iPhone. When it's time to share, email the image from the iPhone using the mobile address, and you're set. It's a great way to add images to your Flicker account, and then tweet about them at the same time. 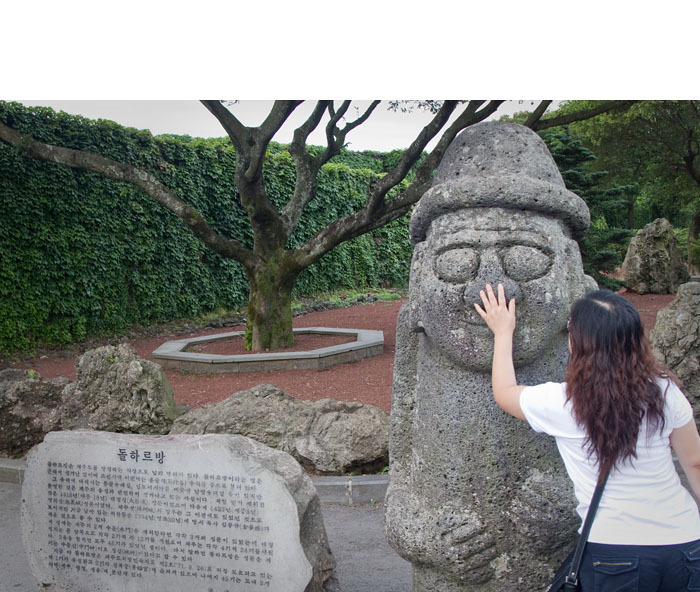 Jeju is an island off the southern tip of Korea. 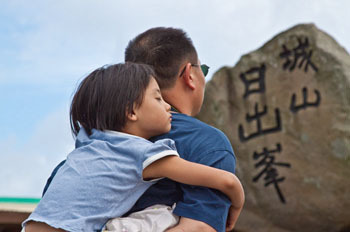 It's a popular vacation spot for Koreans, as well as Chinese and Japanese. It's particularly attractive to Korean newlyweds who enjoy the stunning landscape of the island, from shoreline to the dormant volcano crater. Basalt stone is everywhere. It's used for buildings, statues, and fences. 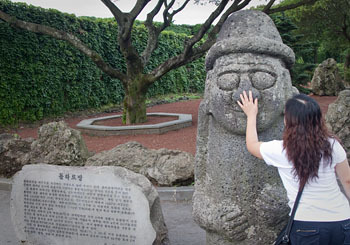 The most interesting use of the porous volcanic rock are for statues called Dol hareubang, often placed at entryways. 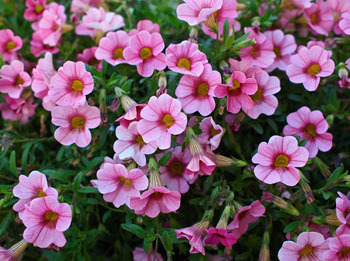 They are known for offering protection and fertility. But there's a lesser-known and fascinating tradition associated with these "stone grandfathers," as explained to me by a native Korean woman. She said that newly married women who wanted to conceive and have a boy, would rub the nose of the Dol hareubang. "That's an interesting anecdote to pass the time," I thought. "But it's probably not really practiced these days." About 10 minutes later, as I was heading back to the car, I passed the Dol hareubang. And as if it were scripted in a movie, a Chinese woman walked up to him and deliberately rubbed his nose. I looked around for my Korean friend, but she was nowhere in sight. Photo of woman rubbing nose of Dol hareubang captured by Derrick Story using a Canon Rebel T1i and Canon 24-105mm f/4 L IS lens. More pictures from the Asia trip are available at the TDS Flickr page. Early Morning on the Beijing Streets.